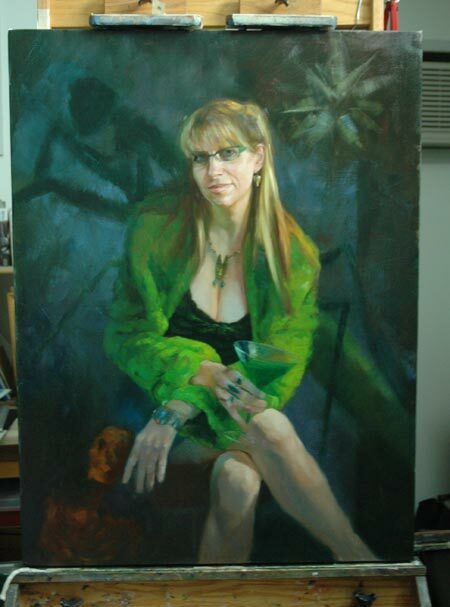 I recently modeled for for a painting by the amazing Greg Dearth. 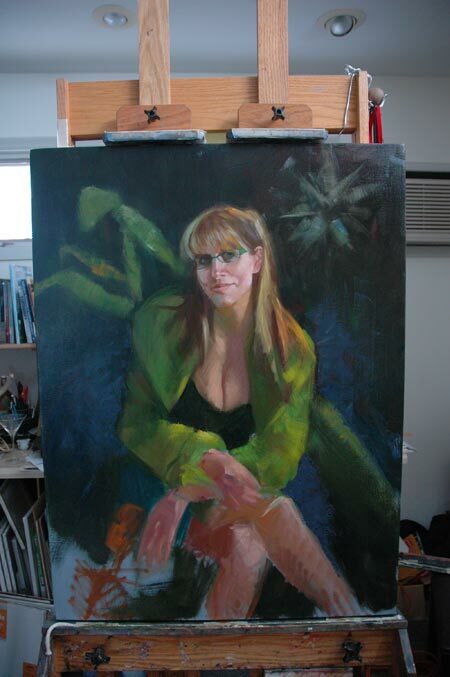 Here is a glimpse at him at work in his studio and the beginning of the painting. 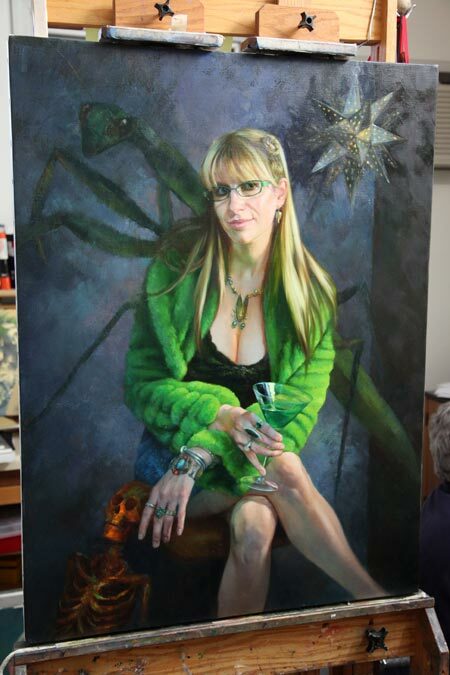 The painting is inspired by the Praying Mantis and will include my gold skeleton, Roger. I am very excited to see it come together!